Heat waffle maker. 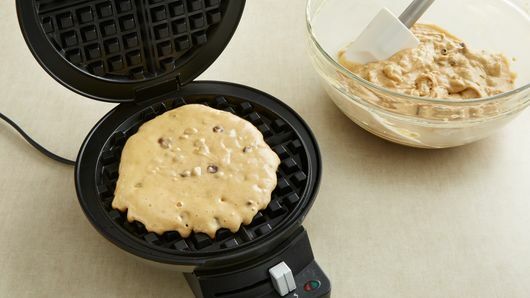 (Waffle maker without a nonstick coating may need to be brushed with oil or sprayed with cooking spray before batter for each waffle is added). Let cookie dough stand at room temperature 10 minutes to soften. In large bowl, break up cookie dough. 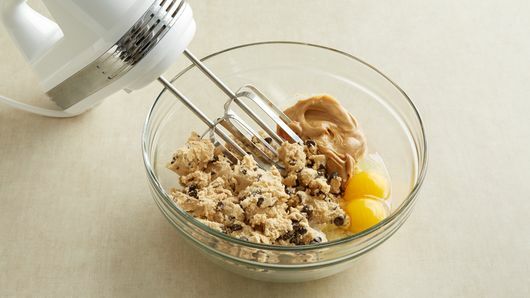 Add milk, peanut butter and eggs. Beat with electric mixer on medium speed 1 to 2 minutes, scraping bowl as needed, until well blended. To make waffles, pour 1/3 cup batter onto center of each waffle section. (Check manufacturer’s directions for recommended amount of batter.) Close lid of waffle maker. Bake about 3 minutes or until waffles are golden brown. 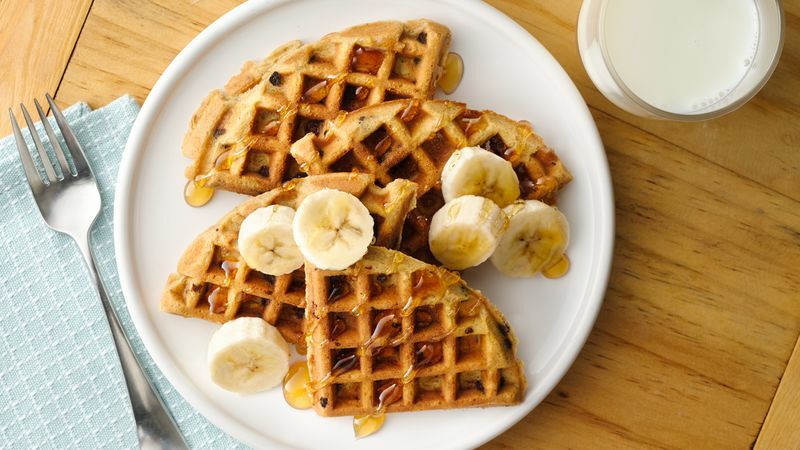 To serve, top each waffle with sliced bananas; drizzle with honey. To keep waffles warm until serving time, place them in single layer on wire rack or paper towel-lined cookie sheet in 350°F oven up to 20 minutes. Just make sure you don't stack warm waffles, because they will become soggy. Waffles can be frozen and thawed for later use. Just pop them in the toaster for a quick morning bite.